As brands funnel more of their ad budgets to digital, they have been demanding greater transparency across the digital advertising supply chain and the definition of inventory quality has evolved. Our industry must move beyond ad fraud alone. This white paper will provide insights into what both buyers and publishers should be aware of to thrive within the new programmatic future. 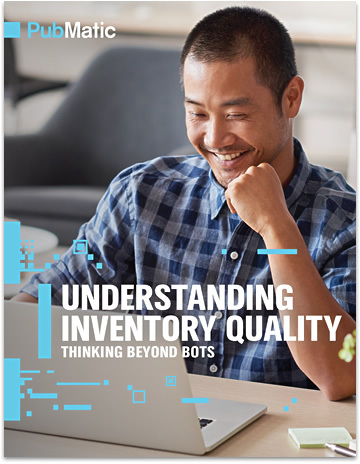 While brand safety and viewability are incredibly important considerations for marketers seeking to improve the ROI of their ad campaigns, the focus of this paper is on fraud and the activities and practices that encompass inventory quality. Within, we shed light onto the evolving definition of inventory quality by examining non-human traffic, low-value human traffic, practices that deceive and obfuscate, mobile in-app quality, and the future state of quality.